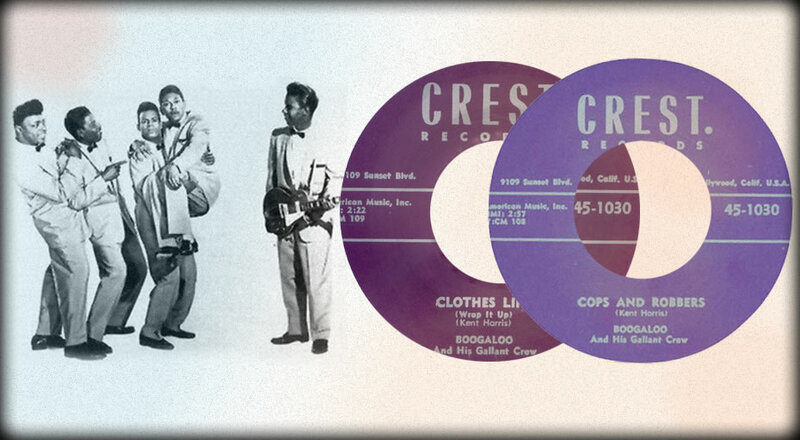 If you aren't familiar with Boogaloo and his Gallant Crew, perhaps you've experienced the artistry of the Mighty Boogaloo -- born Kent Harris -- by way of his storytelling style of songwriting, which includes Bo Diddley's "Cops and Robbers" and the Coasters' "Shopping for Clothes," both rife with hip, spoken-word dialect and inimitable dead-pan delivery. The former, a tale of a hijacking hitchhiker, brims with the kind of absurdity that Bo himself specialized in, while the latter is marked with the rhythm and blues witticism of the Coasters' singularly sepia-obsessed, pastrami-scarfing producers Leiber and Stoller, disastrous conclusion and all. Aside from the Kinks' "Dedicated Follower of Fashion," no song in all of rock 'n' roll succeeds in capturing the humorous eccentricity of the clothes horse so succinctly.